Matt Lauer Did the Harassing, But NBC Staff Hates Megyn Kelly? 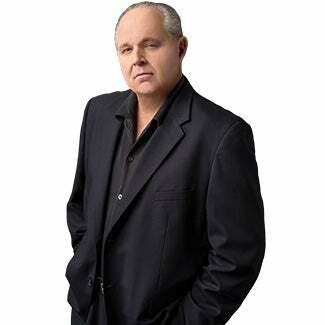 RUSH: “Washington Post Drops Garrison Keillor Column Following Sexual Harassment Allegations — The Washington Post dropped [the] column on Thursday after he failed to inform the newspaper of sexual harassment allegations against him. … But despite Keillor knowing about the investigation, he failed to inform the Post, which continued to publish his weekly column. “Embarrassingly, Keillor’s column the day before his Wednesday firing defended Minnesota Senator Al Franken from similar sexual harassment allegations, calling it ‘pure absurdity’ to demand the senator resign.” We’re supposed to have a press conference, by the way. That’s right. Conyers was supposed to get out of his hospital bed to do a press conference right around now. But, you know, Conyers is probably saying, “Why should I do this? Everybody’s focusing on Flynn. I can just hide behind this. Bill O’Reilly probably had a lot of disappointed fans, too, but I don’t recall the AP shedding any tears over ’em. AP is worried about Garrison Keillor’s fans. Snerdley, what are your thoughts on Franken with all this? Will Franken survive this, do you think, or not? Will Franken eventually be forced out of this or not? (interruption) You think so? Well, in Franken’s case, there are additional women that keep surfacing. “NBC: Matt Lauer’s Sexual Harassment Accusers Could Number ‘as Many as Eight’ Women — As the number of women claiming Matt Lauer was sexually inappropriate has grown to ‘as many as eight,’ NBC is denying that its execs knew” any of this. “NBC’s Stephanie Gosk revealed to Megyn Kelly during the 9 a.m. hour of Today that there could be up to eight accusers, as details surfaced about the star’s alleged lewd behavior and old video clips back in circulation raised eyebrows. “‘We have reached out to New York City police; we have reached out to police departments in Long Island. We know of no open criminal investigation against Matt Lauer,’ Gosk said.” Now, Stephanie Gosk is the NBC… She is a proud lesbian. She and her wife, the former weekend today news anchor Jenna Wolfe, have two daughters. Ms. Wolfe is a woman of color. Stephanie Gosk says there’s eight more women out there ready to drop the boom on Matt Lauer. Megyn Kelly, by the way… Have you seen the Daily Mail piece? I mean, they hate this woman at NBC. They despise her. There is a whole Daily Mail story on how the people at NBC — the Today show people on camera and off — just literally hate Megyn Kelly for the way she is trying to take advantage of this, that she’s acting like she’s a member of the NBC family and she isn’t. I’m just gonna tell you, folks, it’s a little odd. I have to tell you. Matt Lauer is the guy who has genuinely mistreated women, and they’re not one-tenth as mad at him as they are at Megyn Kelly. All Megyn Kelly did was get hired! This is what ticked ’em off in the first place. That whole Megyn Kelly-at-NBC dynamic, it’s a classic of the insider-outsider mentality. It’s a classic of outside the establishment, inside the establishment. She was at cable. That’s bad enough. People at broadcast news think cable news is the minor leagues, if not worse, and Fox News is despised. It’s hated! And then all of a sudden NBC hires this intruder, and this intruder has the audacity to show up and act like she belongs? (snorts) And the long knives are out for her like you can’t believe. And it’s classic insider versus outsider. It’s classic, “We’re in the clique, and you’re not,” and the fact that they now think she may be trying to maneuver things so that she gets Lauer’s job? They’re just… They’re beside themselves, and they’re talking to the Daily Mail, and they’re saying vicious things. “After saying there were no complaints over 20 years, the network later stressed no complaints to ‘current management. '” There are many stories today saying that the Today show anchors and anchorettes who profess total shock knew all along what Matt Lauer was doing, that Jeff Zucker has known all along what Matt Lauer was doing, that Andy Lack has known all along that what Matt Lauer was doing. And nobody did anything about it. Have you heard that Matt Lauer’s lawyers are trying to get him $30 million as, like, a golden condom payout? What leverage does the guy have? Why would they have to pay him off? What could he possibly have to say that could damage them any more than what he’s already done? If they do have a morals clause in the contract, he’s already violated that. I don’t even know where… (interruption) Well, yeah, that’s true. He could say that they knew and that all of this is not sincere just because the pressure was brought to bear. “They’ve known for years what I was doing and they sought not to do anything about it. “So I, Matt Lauer, want my $30 million.” Apparently, Matt Lauer… Did you know that Matt Lauer bought property in New Zealand? He bought a farm in New Zealand. Apparently, there’s a morality clause there when a foreigner buys property in New Zealand. You have to be of certain moral fiber and character, otherwise they can require to you sell your property. They’re supposedly looking at Matt Lauer now to see if he’s still qualified. Now, why would he buy a place in New Zealand? (interruption) He knew? (laughing) No. I’ll tell you why. (interruption) It has nothing to do with sheep! (groans) The reason Matt Lauer — and I don’t know. I’m just speculating. Why does anybody buy a place in New Zealand? ‘Cause you think the United States is going belly up. You think they’re gonna take the money of the wealthy. You think that the United States is gonna go belly up or that it’s gonna be taken over by illegal immigrants or whatever. New Zealand is one of those places that people who think this have been buying property for a while in case there is an emergency need to take the family and get out of America, New Zealand — and, in fact, because of this, New Zealand is really tightening down on foreigners buying property there at all. But for a while, my friends — I know this because I was pitched to join this parade. Since I don’t harbor those kinds of panicked, paranoid feelings, I of course was not the interested. Somebody had to put it in! I guarantee you, Matt Lauer didn’t run the wires and all this. Of course they knew about it! Somebody had to know about it! You’re not gonna put a button… If Matt Lauer had tried to put that in by himself, the union guys would have run him out of the building for doing it on his own. There’s no way that he could gotten away with it without anybody knowing. RUSH: Here’s the Daily Mail piece on Megyn Kelly. Just listen to some of this. “No One Wanted…” This is the headline: “‘No One Wanted Megyn Here! She Was Forced Upon Us and Today Reinforced Why She Will NEVER Be Part of the Today Family.’ Staff Are Outraged at ‘Smug’ Kelly and Her Insensitivity to Colleagues Over Matt Lauer Firing.” Apparently, she wasn’t appropriately tearful or shocked when Matt Lauer was let go. “Megyn Kelly used her platform to describe Matt Lauer’s firing as a ‘sign of progress’ on Wednesday.” Even these infobabes and anchorettes at NBC supposedly knew he was doing this! Can you imagine Megyn Kelly saying, “This is a sign of progress. We got rid of another predator,” and the women at NBC are mad at her? Well, yeah, it makes total sense in certain, you know, human ways. But it doesn’t make sense logically. I mean, the person to be mad at here if you’re gonna blow your lunch would be Matt Lauer. Next little bullet point: Megyn Kelly “said she had no ‘official knowledge’ of Lauer’s alleged misconduct but knew ‘people were sniffing around the issue. '” They’re mad at her for trying to insert herself in this story as somebody who knew who was going on when she’s a dork that didn’t know anything. “‘Megyn saw this as an opportunity to mark her territory — but she failed and has lost the support of EVERYONE at NBC,’ an NBC insider” said. Another NBC malcontent said, “‘We now have the highest paid person at NBC News hosting one of the lowest rated shows and rather than being humble, she takes the first opportunity to take the spotlight and make it all about her. '” So? Isn’t that what every diva in TV does? It seems to me to be perfectly normal behavior. Another bullet point: “‘And here’s something we’d like to say about her — she’s terrible on morning television! Her show is terrible. Her staff think she is terrible. '” This is high school cafeteria stuff, or high school teen town stuff. But they don’t like her. They don’t like her at all. It is so patently obvious.